There is a lot going on the life of the Church this time of year. Even as we continue to celebrate our Lord’s Transfiguration, we prepare by fasting to observe the Feast of the Dormition of the Most Holy Theotokos during the coming week. 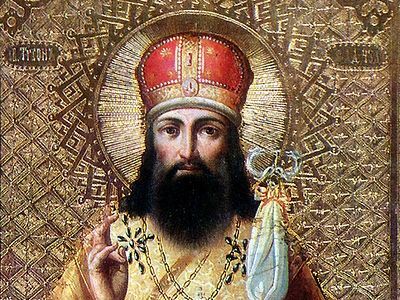 In order to enter into the good news proclaimed through these feasts, the eyes of our souls must be cleansed so that we will be able to behold and participate in the brilliant divine glory of our Lord. We must become radiant with God’s gracious divine energies as we follow the Theotokos in uniting ourselves more fully to the Lord in holiness. She was the first to receive Christ when she said, “Behold the handmaid of the Lord; let it be to me according to your word” in response to the message of the Archangel that God had chosen her to become the virgin mother of His Son. As we celebrate at her Dormition or “falling asleep,” she was also the first to follow Him as a whole, embodied person into the Kingdom of Heaven, for her tomb was found empty three days after her death. The Theotokos provides the best model of what it means for a human being to be transfigured by personal participation in the grace of God. She freely chose to accept the Savior into her life in a unique way as His mother, and she knew the pain and joy of offering herself fully to the One Who conquered death by His own death and glorious resurrection. She counted for nothing in the eyes of the kingdoms of this world, but gained the unique dignity of the Mother of God, His Living Temple, when she contained Him in her womb. The Theotokos then made the rest of her life an ongoing offering to the Lord. How fitting, then, that her own death became an icon of the promise of eternal life for those united to Christ in holiness. Unlike a prophet or teacher of law, the Savior did not come to provide instructions that would make us a bit more pious or moral. The One Who revealed His divine glory in brilliant, blinding light came to make us shine in holiness like an iron left in the fire. He came to transform us so that we may participate personally in His gracious divine energies in fulfillment of our basic human calling to become like God in holiness. The Savior called His disciples to “be perfect as your Heavenly Father is perfect.” (Matt. 5:48) He cited the Psalms: “You are gods, and all of you are children of the Most High.” (Psalm 82:6; Jn. 10:34) While we remain human persons by nature, Christ enables us to become like Him by grace. That is why theosis is an eternal process, for God’s holiness is truly infinite. The Lord said that because refusing to forgive others is a clear sign of our refusal to become like God in holiness. If we ask forgiveness for ourselves without extending it to others, we show that we are not interested in sharing in the life of our Lord by grace. We demonstrate that we are not offering ourselves for transfiguration in holiness. Instead, we become idolaters who worship a god in our own image who we think will give us what we want and make no demands that do not suit us. Such corrupt views of religion will bring only greater darkness to our souls and enslave us further to passions such as hatred, judgement, and the refusal to forgive. They make it impossible for us to be transfigured in holiness. This temptation is especially dangerous because it is often appealing to convince ourselves that religion and the rest of life are entirely separate realms. We like to think that we meet our obligation to God by doing explicitly religious things at church or keeping a rule of prayer, fasting, and other spiritual disciplines. Of course, we should offer ourselves to God in these ways. They are vital means of opening ourselves to greater participation in the life of our Lord. We will err grievously, however, if we hypocritically seek the mercy of the Savior while refusing to embody His mercy toward others whom we encounter in everyday life. It is simply impossible to unite ourselves to the One Who said “Father, forgive them for they know not what they do” from the Cross if we refuse to show mercy toward those who have offended us. If we try to do that, we will be in the false position of those who want one thing from God while giving the complete opposite to our neighbors. The illumination and healing of our souls is an eternal process, for our goal is very high: to become like God in holiness. We should not despair when memories of the wrongs of others come to mind, when we have harsh feelings toward those who have wounded us, or when we cannot imagine how we could be reconciled with others with whom we have a broken relationship. These are signs that we live in a world of corruption and need further healing for our souls. Our choice is either to open our hearts to Christ for greater participation in His mercy or to harden them by embracing hatred and judgment. 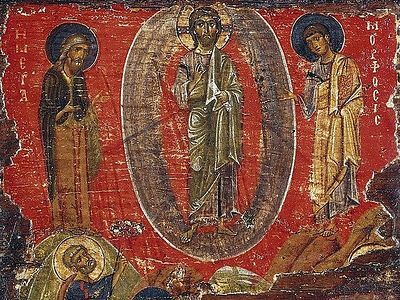 The process of our transfiguration must begin by opening the darkened places in our hearts to His brilliant light as best we presently can. We do that when we pray for God to bless our enemies and to forgive our sins by their prayers. We do that when we mindfully refuse to dwell on the wrongs of others or to speak ill of them. We do that when we go out of our way to help them. As we struggle to show them the same mercy that we ask of Christ, we will grow in humble awareness of our own brokenness and dependence upon His grace for our healing. This is the path that we must all follow if we are to become transfigured in holiness through personal participation in the life of our Savior. In her Dormition, the Theotokos shows us that such a life leads to the eternal joy of the Kingdom of God. In order for us to follow her holy example, we must begin with the humble forgiveness of those who know that they are never in a position to condemn others. Instead, we must become living icons of the brilliant mercy that we have received. That is how we may become truly human in God’s image and likeness by participating personally in the Savior’s healing of our corrupt humanity. 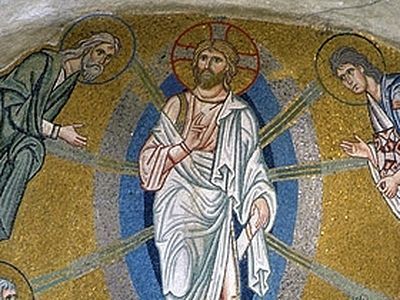 What does the Transfiguration of the Lord teach us? St. Tikhon of Zadonsk What does the Transfiguration of the Lord teach us? 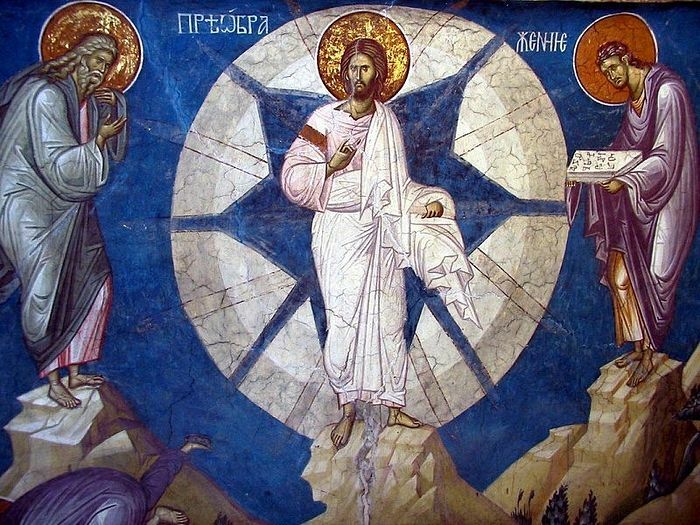 Orthodox theology sees in the Transfiguration a prefigurement of our Lord’s Resurrection and His Second Coming, and more than this—since every event of the Church calendar has an application to the individual spiritual life—of the transformed state in which Christians shall appear at the end of the world, and in some measure even before then.